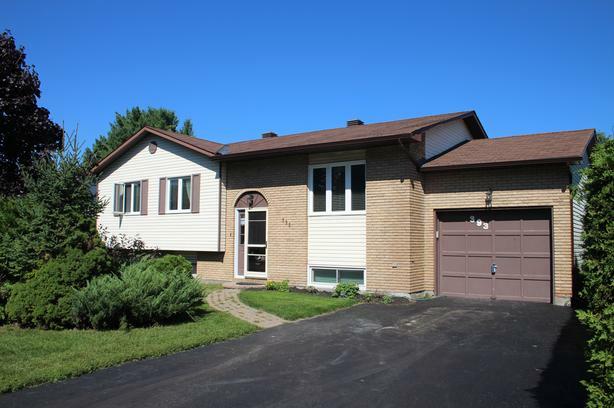 Minutes to lots of Rockland amenities, 20 minutes to Orleans & 30 minutes to downtown Ottawa w/buses access. FREEHOLD - $299,900. Looking for a nice private yard? This is it! Nicely appointed Open concept Hi-ranch 3+1 bed, 2 bath bungalow with garage & bright family rm in lower level on a 60 X 100 lot. Move in condition. Enjoy! Call today! Helping RCMP, Military and Corporate Relocate across Canada since 1986.